It’s not surprising that half-truths and downright magical thinking come into play where bed bugs are concerned. There are few things that make us feel so powerless in our own domain as the specter of a visit from these creatures. The most obvious misconception is that if you keep your house really clean, bed bugs won’t come. But, explains Mike Potter, an entomologist and extension professor at the University of Kentucky, bed bugs don’t care whether or not you’ve vacuumed. Below, CR busts some myths and delivers advice to help you stare down this scourge, protect yourself and your family, and take effective action if you need to. Myth 1: You’re safe from bed bugs if you have a foam mattress. Truth: While bed bugs can’t live in foam, they can stash themselves in any crevice that’s close to your body while you’re inert, such as in the small cracks of your bed frame. So even though foam isn’t habitable for bed bugs, someone who’s sleeping on it is still vulnerable. Does it lower your risk to zip your mattress and box spring into protective bags? “Bed bugs might not be able to live inside the encasement, but they can live outside of it for sure,” says Potter. So you can still have bed bugs in your home and can still get bitten. What encasement bags are good for is protecting the actual mattress. That means you might not need to toss it and spend money on a new one if you have a bed-bug infestation. Myth 2: Bed bugs travel only by hitchhiking on clothes or other fabric. Truth: Fabric is only one mode of transport. Bed bugs get around on their own just fine. “They can crawl through electrical outlets, up through walls, down hallways,” says Potter. 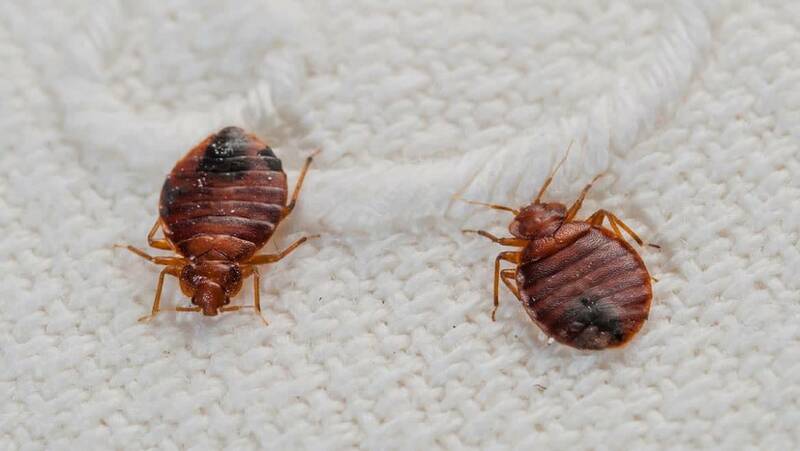 “They can go right out the door and into other rooms or units within a building.” If you live in a multi-unit building and you know bed bugs are in apartments near yours, you should have an exterminator examine your home and look for signs of the pests. And if your home has an infestation in one room, adjacent rooms should be treated, too. Myth 3: A bed bug–sniffing dog is the best way to identify an infestation. Dogs and handlers should have proper accreditation and verifiable training through respected organizations such as the Forensic and Scientific Training Investigations Center, the World Detector Dog Organization, and the National Entomology Scent Detection Canine Association. 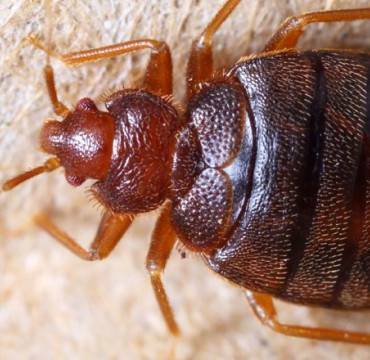 As for spotting signs of bed bugs yourself, Potter says if you suspect there’s a problem, there are a couple of things to look for on your sheets: tiny hard brown dots about the size of a pen tip (bed-bug excrement) and small blood spots where you might have smashed a bed bug while rolling over. Potter says you might also also see white eggs the size of sesame seeds in small clumps in or around furniture. If you’re not sure what a bed bug looks like, learn here. And remember, if you see none of the above in your home and your only worry is bite marks, the problem could be something else. There are many insects that bite in the night. Myth 4: You’ll need to throw out everything you own if you have bed bugs. Once your home is treated professionally, your belongings should be okay. Exterminators use heat to kill bed bugs, a temperature above 120 degrees Fahrenheit. (The high setting on most clothes dryers is well above this, by the way.) They bring in portable heaters and fans and gradually heat the room, using sensors to make sure the heat is well-distributed. Some pest control companies ask you to strip beds and furniture and bag up belongings including clothes, shoes, and coats so that bed bugs have nowhere to hide during the treatment. You’ll leave these bags (tied tightly) in the room being heated so that the bed bugs get baked with the rest of the space. Most everything in your home, including furniture, can withstand this heat for the hour and a half necessary to kill off the bugs. Myth 5: A blow dryer is fatal to bed bugs. Truth: In some cases, it can be. But the trick is keeping bed bugs in one place long enough to take the heat till they’re dead. A hair dryer can be a reliable tool for flushing bed bugs out of cracks and crevices, though. The bugs will scurry away from the hot wind. Myth 6 : Cayenne pepper or diatomaceous earth can kill bed bugs. Truth: In studies that Potter has conducted, natural oils or sprays, cayenne pepper, and diatomaceous earth weren’t effective at killing the pests. The same holds true for bug bombs, or sprays containing deet; the concentration is usually not high enough to kill bed bugs or their eggs (and it’s not safe to misuse this chemical by applying more than is recommended). Professional heat treatment by an exterminator is the surest way to kill bed bugs. If you’re waiting for treatment, you might be able to reduce the number of bed bugs by laying down Cimexa’s Insecticide Dust, which is made mostly of silicon dioxide. Sprinkle it in cracks and joints of a bed frame and in any contact points where bugs could hide (for example, where wood meets the floor and where a bed platform meets the mattress). This insecticide absorbs the waxy exterior of a bed bug’s shell, leaving it desiccated, but you’ll probably need multiple applications. You can also “bake” bedding, shoes, backpacks, and pillows in a clothes dryer set on high for 10 to 20 minutes. Myth 7: Once they’re gone, they’re gone. Truth: Bed bugs can live one to four months at regular temperatures (possibly a bit longer at cooler temperatures). An exterminator should come more than once and should inspect your home before offering a quote. Depending on the degree of problem and the size of your home, treatment costs can range from a few hundred dollars to a few thousand; the national average is around $1,750. Many exterminators include a follow-up visit, but some will return several times. (It would be prudent to request this.) After two to three visits from a pro to make sure there are no signs of bed bugs, you can consider yourself clear of the infestation.